Home Loans, Great Rates. If you have a lending need, I have your SOLUTION! I am a Louisiana Licensed Loan Originator, Civil Law Notary, and Customer Solutions Professional with 21+ years of experience in Real Estate Mortgage and Title Insurance Industry. Conveniently located between Seigen Lane and Bluebonnet Ave on Jefferson Highway in Baton Rouge, Louisiana. We also assist for sale by owner (FSBO) sellers and local realtors to navigate the selling process through flyers, forms and prequalifying potential buyers. Traci handled the financing of my new home with professionalism, courtesy and compassion while walking me through every step of the process. She advised me on several financing options which in the end, pointed me in the direction that the most sense from a financial standpoint. Being a retired CPA, I can really appreciate her honesty and efforts. When we started a re-finance on our house we found that my credit score had been linked to someone else with the same name and my score was way too low. Ken Lending Solutions helped us and gave advice on how to fix it. It took several months but Key Lending stuck with us the whole way. We finally got the re-finance done to a 15 year at a lower rate and it is saving us over $70,000! Ken Lending is a great company to do business with. and passionate about lending and helping her clients. I know of no one with more integrity in the mortgage lending business. Professional, friendly service is what you get when working with Traci! Traci is passionate about helping the people that she works with. I highly recommend Traci with Key Lending Solutions. 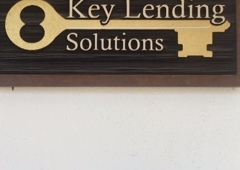 Key Lending Solutions and Traci Adams are a great choice for a source of funding. You can not go wrong working with someone so dedicated to your needs. They take the time to make sure all your questions are answered, I highly recommend them. I've been acquainted with Traci for many years. In that time she has shown herself to be a woman of both great talent and integrity. These personal attributes are incorporated into her professional personna. I highly recommend Traci Adams. When your looking for a personal professional, to dive into your future with a mortgage, You can count on Traci. She's personable, very knowledgable and easy to communicate with. 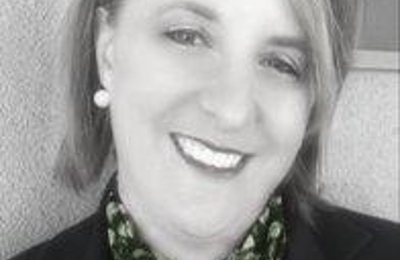 Traci Adadms is what every lender should strive to be! Shes efficient, diligent, and very very driven. Her number one priority is YOU and she makes you fully aware of that. I highly recommend working with Traci for your lending needs. Wonderful!!! Highly organized, efficient and quick. Does a great job. Low fees too!! Thanks Traci for all your help. Would recommond all my friends and family to her. You are in good hands with Traci . Very professional and will get the job done! !